An easy yet impressive side dish, Lemon Parmesan Roasted Cauliflower is perfect for weeknight dinners or special occasion meals. 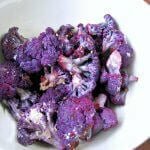 Yes, I’m actually sharing a vegetable recipe today, can you believe it? I didn’t even put bacon on it! I’m pretty sure this is the first side dish recipe I’ve shared in a year or more, unless we are counting pasta salad and cole slaw. This is one of those recipes that got forgotten in my crazy kitchen. I first made it months ago for Easter Week and then I ended up sharing something else instead. 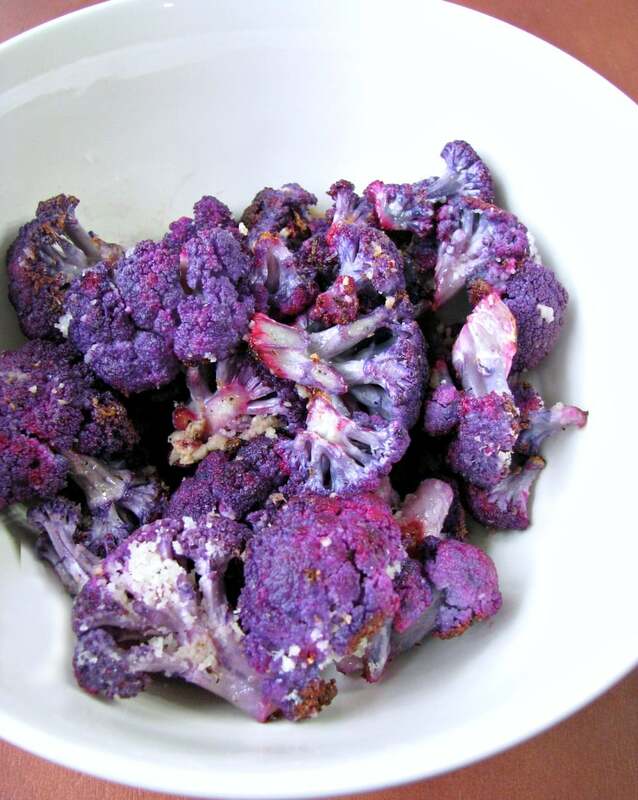 I used purple cauliflower because I thought it was fitting for Easter, now that Fall is almost here I think orange cauliflower would be perfect. Around here we didn’t have any other color cauliflower besides white when I was young, so I like using the different ones. I have never had a problem getting my daughter to eat vegetables, but for those of you that do, cheese is the secret. Amanda loves Parmesan cheese, and the lemon on these Lemon Parmesan Roasted Cauliflower is light enough that kids won’t mind it. That makes it the perfect side dish for both adults and kids, if you ask me. Do yourself a favor and use real Parmigiano Reggiano cheese. I know it’s expensive but it’s so good! If you really can’t do that, use a block of Parmesan cheese and grate it yourself. DO NOT use the fake shaker container. Okay, I’m done being bossy now. I love roasting vegetables like this because it’s so easy to do. It only takes a few minutes to chop the cauliflower, grate the cheese, and toss it in lemon juice and olive oil. Bake it for 15 to 20 minutes and serve it hot. 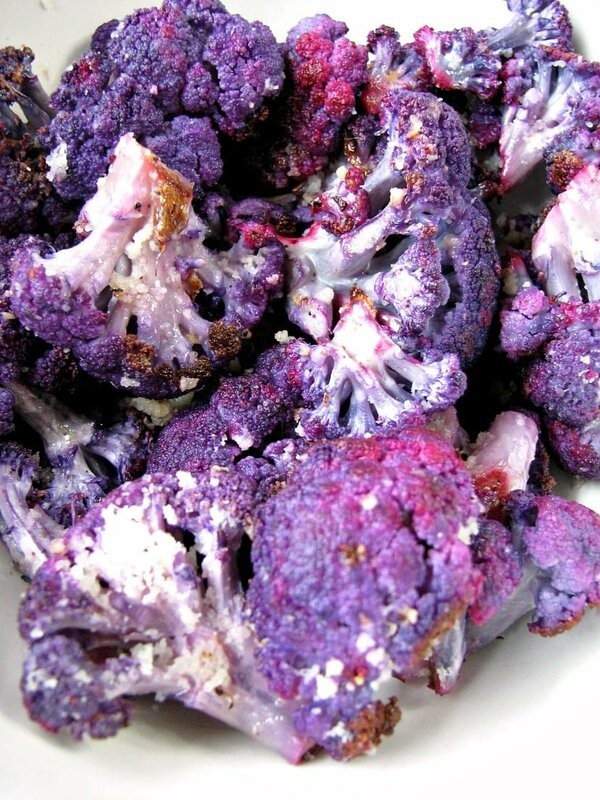 Preheat the oven to 425 degrees F. Toss the cauliflower florets with the olive oil and lemon juice. 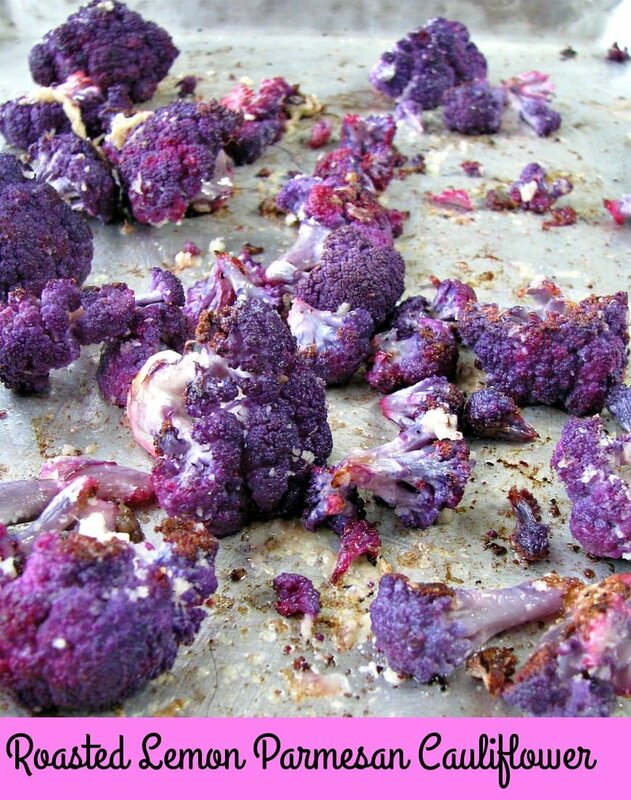 Spread the cauliflower in a single layer. Season with salt and pepper to taste. Bake in the preheated oven for ten minutes, turn and sprinkle with the cheese. Bake for five minutes more, or until the cauliflower is softened and lightly browned and the cheese is melted.